Take a closer look at Echinacea tea. This medicinal tea is perfect to treat infection, fight cold symptoms and offer you an immune system boost, while enjoying a nice warm cup of tea. You should be! But first let’s find out what is Echinacea herbal tea. Echinacea belongs to the family Asteraceae, also known as Coneflower and you may find it in central and eastern North America. It is a drought resistant perennial, so you can find it in scattered patches in rich prairies or sandy soils. It is able to reach a height of 2 to 5 feet (60 to 150 cm) and it grows best in full sun. 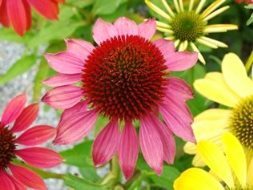 It is often called “cone flower” as it presents a cone at the center of the flower, whereas the generic name Echinacea is rooted in the Greek word echinos, which means hedgehog, due to the its spiky appearance. Taking a closer look, Echinacea has perennial hollow stems, narrow dark green leaves, covered with hair and showy mauve flowers that grow on the end of the stems. It offers you thick blackish medicinal roots and large flowers that start blossoming in the beginning of June and end in August. Echinacea Angustifolia – With large orchid or violet flowers, a dark cone centre and 8-inch leaves, this variety is commonly called Black Samson Coneflower. It is often found in the plains states, it is used to treat specific disorders, snakebites, remove toxins and ward off infections, so much so that it is known as Missouri Snakeroot by the Sioux. Echinacea Pallida – also known as the Pale Purple Coneflower. This variety has a rosy purple colour with drooping flower petals and it is used by the plain Indians to fight illnesses in general. It stimulates the production of white blood cells and regulates red ones; it works as a lymph system cleanser, a tumor-inhibitor and as an antiallergenic. Echinecea Purpurea – also goes by the name Big Purple Coneflower, it has reddish purple flowers, 4 inches in diameter and it is 5 feet tall. Its benefits have been so effective that it was prized in Europe as an immune system stimulant. You can find these medicinal species grown as ornamental plants in gardens, under a wide variety of conditions. They are able to multiply rapidly and keep active foliage throughout the season. Make sure you have Echinacea on your shelf, whether in extract, tinctures, tablets, capsules or ointments to keep you and your loved ones healthy. 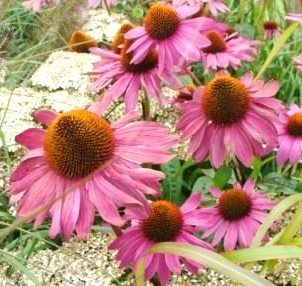 Historically, Native Americans started using Echinacea centuries ago to fight ailments in general, to treat infections and wounds. Over time, this medicinal herb was also used to treat scarlet fever, syphilis, malaria, blood poisoning and diphtheria. During the 18th and 19th centuries, the use of this tea became extremely popular, but this changed in the US with the introduction of antibiotics. Nevertheless, during the 20th century Echinacea preparations regained popularity in Germany, where it has been promoted as an immune system stimulant in recent years, but studies haven’t been conclusive about the effectiveness of its benefits. 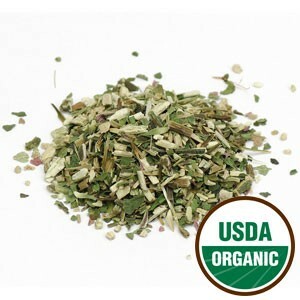 Today people drink Echinacea tea to boost the immune system and fight infections, and many more healthy uses. Drinking Echinacea tea will definitely keep you healthy as it contains vitamins A, B-complex and E, and minerals such as calcium, magnesium, iron, potassium and sodium, among others. It also contains chemicals like polysaccharides, - which are located in the above–ground parts of the plant and trigger the activity of the immune system, - glycoproteins, alkamides, flavonoids and volatile oils that are mostly found in the roots. Echinacea tea is perfect to stimulate your immune system, as it activates T-cell renewal and the production of antibodies and interferon, known for blocking viral infection. Drinking it on a daily basis allows you to strengthen your immune system and fight bacteria, fungus or viruses more easily, especially during times of stress or harsher seasons. Every day we suffer from damage caused by pollution that we are not even aware of. This nutritious tea increases the migration of leukocytes to areas of acute infection, thus accelerating the healing process. As soon as you feel a cold or the flu coming, have a cup of Echinacea tea or take it as a tincture to boost your immune system and reduce the sickness period considerably. Here’s a tip: enjoy this tea even before the cold season begins as to increase your protections, because if a cold or infection has already become more serious and take hold, Echinacea won’t be as effective as it needs to be to tell your body to do its work. You may also drink Echinacea tea to treat ear infection, hay fever, asthma, sinusitis, sore throats, bronchial infection and laryngitis. It’s great with all sorts of respiratory tract illnesses. Mix it with other herbs, like cinnamon and ginger, and it will strengthen your voice in no time, or use it as a mouth spray for healing action. Echinacea tea can help treat urinary tract infections due to its antiviral and antibacterial powerful action. It helps you clean the liver, kidneys and especially the lymphatic system and the glands, so you may use it to treat strep throat, swollen lymph gland, prostate problems and tonsillitis. Its antiviral and antioxidant action makes it a good ally to fight viruses, herpes, vaginal yeast infections, athlete’s foot, infections of the digestive tract, cell decay, fungus, bacteria, microbes and it’s also helpful with bladder and bowel infections. Echinacea tea can help you treat skin problems. If you suffer from eczema, boils, psoriasis or urticaria, have it always at hand to bring you some relief from these ailments. It may also bring you relief whenever you suffer from abscesses, acne, blemishes and cysts. If you love the sun and worry about the damage it may cause, use Echinacea tea as a facial toner to benefit from its antioxidants and delay the appearance of wrinkles and other signs of aging skin. In times of stress, there’s nothing better than an energy booster to revitalize your body. 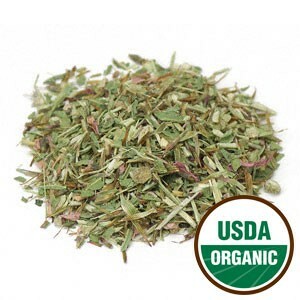 Echinacea tea will offer that and it can also be helpful if you suffer from chronic fatigue syndrome. You can mix Echinacea root with valerian root and make a tincture to bring you relief whenever you have an itch or skin rash. It relaxes you as it fights the infection. The benefits of Echinacea tea don’t stop here. This herbal tea also comes in aid to treat other ailments like syphilis, putrid fevers, hemorrhoids, diphtheria and cancer. It eases pain from arthritis or muscle inflammations. Boost your Immune System with these Echinacea choices! Echinacea tea is indeed a powerful and healthy beverage, but there are some risks you must take in consideration. You may drink Echinacea tea while trying to conceive but avoid it while pregnant or breastfeeding. If you are allergic to plants of the Asterceae family (eg. daisy, sunflower, chrysanthemum and ragweed), there’s a chance you may be allergic to Echinacea too. Elderly people may drink it, if they don’t suffer from any immune system disorders. Although specific risks haven’t been documented, it’s not recommended for children between 1 and 12 years old. People who suffer from progressive systemic and auto-immune disorders, connective tissue disorders or related diseases should avoid this tea. If you have undergone a transplant and take immunosuppressant medication or hepatotoxic drugs, you, too, mustn’t consume Echinacea. An immune system stimulant may cause your body to put too much of a fight and reject the new organ. If you suffer from immune system diseases, such as HIV, tuberculosis, systemic lupus or multiple sclerosis, then you shouldn’t take Echinacea tea as well, without consulting a physician first. Such immune system diseases may not react well at all with this herb. Do not take it for more than 10 days, as your body won’t use Echinacea immune system boosting properties properly and it won’t store its constituents. The body must be allowed to work for itself. Too much of this tea may cause gastrointestinal problems, nausea or dizziness. Here comes the fun part – preparing and enjoying your tea. Let’s take a break, relax and find out how to make Echinacea tea. To make this tea you will mostly need Echinacea roots, as they are the most potent part of this herb, but you may also include stems and flowers. First, pour 1 cup of boiling water over ¼ cup of fresh plant or 1-2 teaspoons of dried plant material. Add a little honey or freshly squeezed lemon and also a slice of ginger root to add an extra flavour and more health benefits, particularly when trying to fight inflammation. Cover your tea, let it steep for 5 minutes and then strain. Don’t forget that to get the best out of its benefits, you should drink it warm and before a virus takes hold. You may purchase both Echinacea roots and flowers dried, as both have medicinal properties. Of all forms of Echinacea that you may find, taking it as a tea is the best and healthiest solution. Keep in mind that the leaves have a milder flavour when you consume this remedy in tea form. The roots, on the other hand, are rather bitter and are usually made into a tincture. This tea should be taken with intervals. It’s best to drink one cup of Echinacea tea a day, after a meal, for 5 days and then take a 2-day break, or you can choose to take it for a month and then take a month off. This will allow your immune system to recover and regain strength. Let your body learn to function on its own, otherwise you will start to feel the benefits of this tea less and less as time passes. Echinacea tea is your best ally to offer you an immune system boost and help you ward off those horrible cold symptoms. So give it a try and keep it around for you and your family. 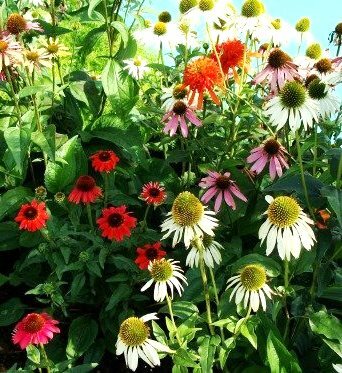 Click on the image or on the links below to purchase from Starwest Botanicals your Echinacea Angustifolia. One of the nine species of Echinacea is ready to provide with the full benefits of tea. Whether you choose to buy dried herb or powder, make sure to always have some available in your cupboard. 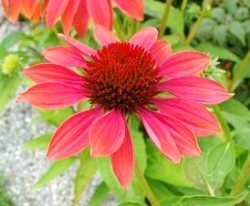 Click on the image or on the links below to purchase from Starwest Botanicals your Echinacea Purpurea. Don't miss out on all the benefits that Echinacea Purpurea can offer you. There plenty of options to suit your needs.